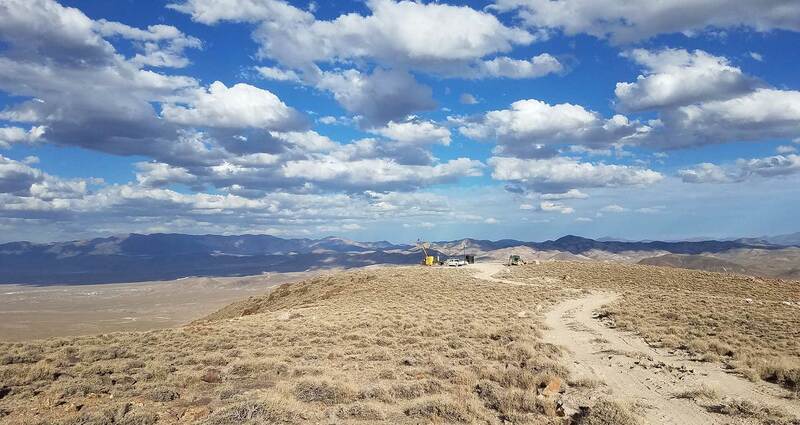 Patriot Gold Corp. (OTCBB: PGOL) today announced completion of a resource study at its Moss Mine Gold Project located 10 miles east of Bullhead City, Arizona and approximately 70 miles southeast of Las Vegas, Nevada. The project hosts a drill indicated gold-silver resource of 20.8 million tons grading 0.028 oz/ton gold equivalent for a total of 591,750 ounces (gold equivalent). Patriot Gold engaged Paul D. Noland, a registered professional geologist to conduct the independent study. This resource was determined using the assumption that the deposit will be an open pit, bulk minable, heap leach mine. To keep mining and grade control cost minimal, sub-cut off grade material within the boundary of the resource was allowed to dilute the final grade. Although the resource is classed as drill-indicated it will require systematic in-fill and down-dip drilling to be placed into a final reserve category. A breakdown of the gold and silver content of the resource is shown in the table below. The full report is available at http://www.patriotgoldcorp.com/Moss.Resource.pdf. The likelihood of finding additional bulk minable ore on the property is considered very good. Patriot Gold geologists have suggested the possibility of main zone mineralization continuing at depth. Much of the Main Zone remains untested down dip. The main body of mineralization appears to widen to the west along strike, but the grade decreases. However, with the lower grades needed for an open pit, heap leachable deposit, this material is now part of the resource. This means the deposit is open-ended to the west. Continued drill evaluation of down-dip and strike extensions is recommended by Mr. Noland.